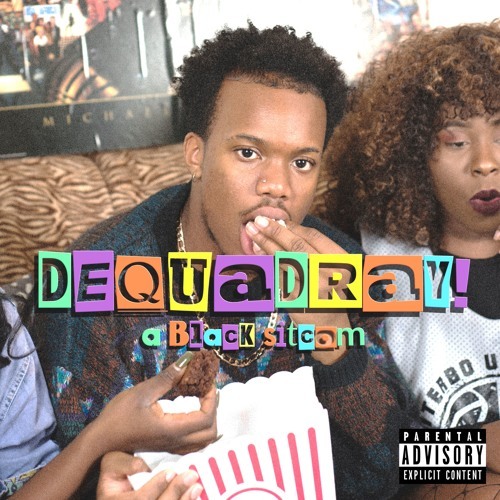 Dequadray: A Black Sitcom is a wonderful example of everything contemporary hip-hop and R&B has to offer. The 2018 release by rapper and singer Dequadray White with producer Matt Cousin is an eclectic one, blending hip-hop with funk, soul and gospel in an incredibly refined way. Dequadray hails from Atlanta and his cool southern style shines through across the project. He invites you to the metaphorical set of his life and experiences that seem too odd to be true or the cameras must be rolling. Nevertheless, he Dequadray does not take defeat as the end all be all; he continues to grow as everything around and within him tends to change.